The Hundred-Foot Journey: How is a book optioned and developed into a film? How Is a Book Optioned and Developed Into a Film? 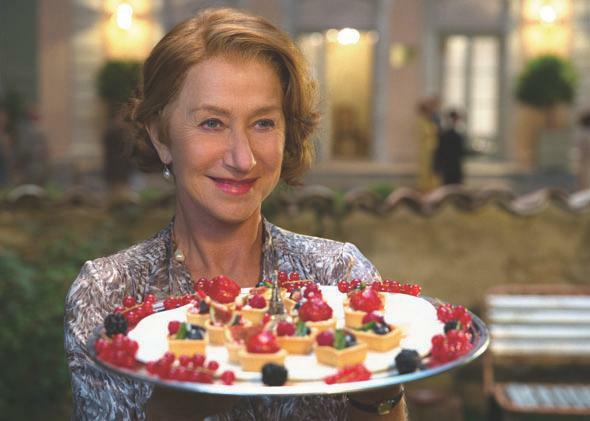 Helen Mirren as Madame Mallory in The Hundred-Foot Journey. I read The Hundred-Food Journey, loved it, and got on a train to meet the author right away. I told him that other producers would probably have 20 books that they would be trying to make into movies, and I promised him that I would just have one. I also promised him I would get the movie made. But when I got back onto the train to head back to Washington, I thought, Well, how the hell am I going to do that? It’s been a long journey for me, but there hasn’t been one minute of it that hasn’t been wonderful. I just believed that I was going to do it. I never doubted it. What anybody can learn from this is that young or old, if you believe in something, go for it. Don’t give up. If it doesn’t happen, so what? But if you don’t really try, how are you ever going to know? I optioned the book and then set about putting together a list of companies that I might like to work with. I took it to DreamWorks, which said that I should bring in a different partner, a heavy hitter. So I talked to some other companies, including Harpo Films, Oprah Winfrey’s production company. They loved the book. Oprah was very supportive, and she made it a part of her summer reading list, which helped the book sales. Then we took it back to DreamWorks, and they said yes. DreamWorks has been great to work with; they’re so supportive with a first-time filmmaker. Movie Production: How could Godzilla have been made better? Movie Business and Industry: Who are some of the most multitalented stars on television and in the film industry? Screenwriting: Do you have to move to Los Angeles if you want to be in the movie-making industry?